The Periodic Table of the Elements is the most widely used basis for systematic discussion of inorganic chemistry. Two experienced chemists encapsulate their knowledge and teaching experience in this succinct text, suitable for both undergraduate and post-graduate courses. 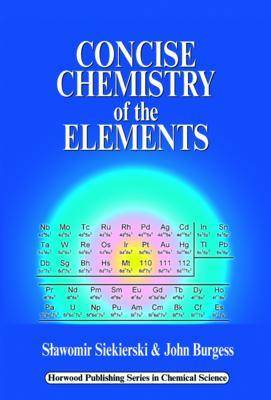 Part one explains how fundamental properties of atoms determine the chemical properties of elements, and how and why these properties change in the Periodic Table. The main properties discussed include radii and energies, ionization potentials, and electron affinities. Particular emphasis is placed on unique properties of the first s, p, and d shells, on the effects of filled 3d and 4d shells on the properties of p and d elements, and on relativistic effects in the heavy elements. The overall treatment will clarify many complex concepts. Part two presents an outline of inorganic chemistry within the framework of the Periodic Table, detailing the application and relevance of the principles set out in part one.